Hi Quick Quotes fans! Dana here today sharing a Mother's Day gift box. I created this box with patterned papers from the Stowaway 6x6 Paper Pad so my box measures about 2x2. Each of the paper pads contains coordinating cardstock, which I used to create the flower for the top of my box. I love that I'm able to find a quote that is perfect for each of my projects in a Quick Quote Bundle. 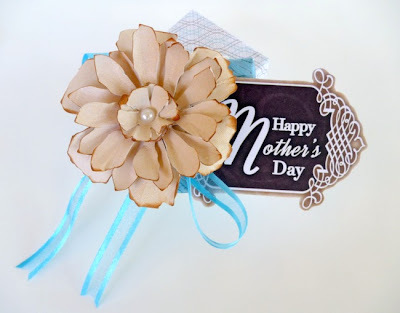 This "Happy Mother's Day" tags is from the Sentiments Bundle. I finished my box with some lace trim and a bow. Thanks for stopping by today! 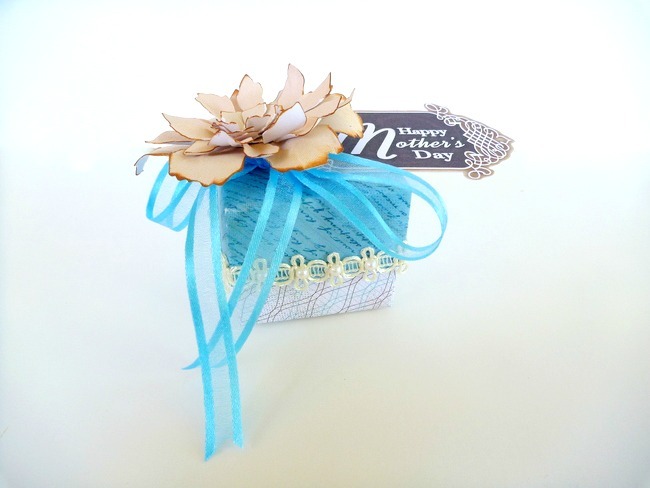 I hope I have inspired you to make your own personalized gift box for someone special. very cute! Thanks for sharing and Happy Mothers Day! Your box is beautiful Dana!! I love the way you make your own flowers! So pretty!